Scrap Ofsted and the National Curriculum? Ok, so I realise I’m a little late with this, but I somehow missed it a couple of months ago and only came across it today. This article in the tes from February outlines some pre-manifesto policies from the green party. Those policies are scrapping the national curriculum and scrapping Ofsted. Scrapping Ofsted in itself doesn’t seem like a terrible idea. I think it has become a stick to.beat and scare teachers and has led to a raft of ridiculous policy implementations in many schools. I do, however, think there needs to be some forms of inspection process to ensure schools aren’t letting students down. I’d personally opt for reform over scrapping, I’d certainly get rid of grades and replace them with two, perhaps call them “fine” and “need to improve”. This could be a good policy, or a dangerous one, depending on what is put in Ofsted’s place, I will reserve fuller judgement until the manifesto is released. I think this one is rather dangerous. In a world pre national curriculum teachers were largely left to teach what they wanted, often primary students may learn about the tudors, for example, each year and no other history over the course of their primary careers. A complete removal would give rise to a massive inequality in our society. Students would learn completely different things depending on where they were schooled and so some may end up with a rich broad education but some with a bland narrow one. The National Curriculum should be a way to ensure all students have a good start, a broad base, to enter the adult world from. Third bit of policy that jumps out at me is the idea of bringing Academies and Free Schools back into the local authority. This would provide a logistical nightmare I’m sure, and the local authorities would need to be rebuilt as they’ve been massively stripped back by the academies programme. I was against the idea of academies when they were introduced, and I was against the massive roll out of the programme orchestrated by Gove. 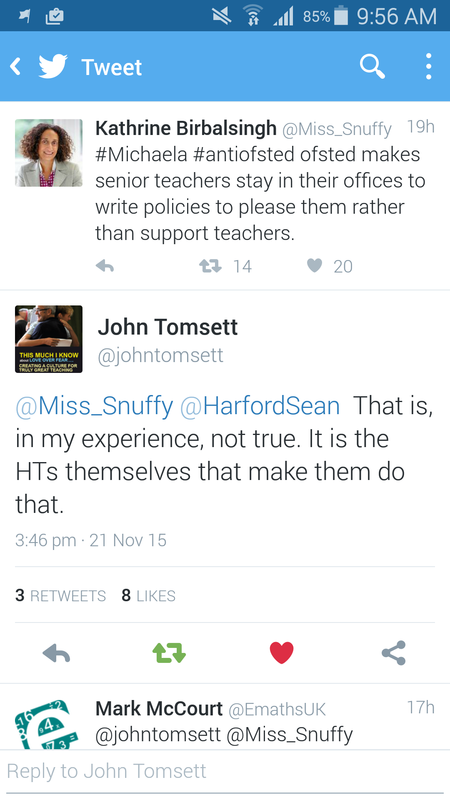 I have since worked in academies and have had mixed experiences. In one academy we were part of a large chain to begin with, this could have been disastrous. The chain in question were not favourable of teachers rights and if it weren’t for the fact we had a fantastic principal looking out for the staff we may have had a really rough ride. I know other schools in the chain did and the unions kept telling us not to accept this or that policy, but our principal had already refused them! In my experience smaller, 2 and 3 school, chains are much better than the big ones, aimed at improving outcomes, rather than improving numbers. Run from an education, not business, point of view. Academies and Free Schools, with the right leadership, can use their freedoms to really improve outcomes for their pupils, but they are also open to the possibility of abuse. And they can build in extra inequalities in the system, which should surely be creating a more equal experience for all. I think the current situation of some schools having these freedoms and some not is ridiculous, it should be all or none. I think this is a policy I could definitely get behind. Bringing all schools into LA control could also mean LAs could take over the inspection role if Ofsted was scrapped. So, some interesting policies. Some good, some bad, I’m interested to read the fuller policies announced in the manifesto. In 2010 I was very impressed by the Green manifesto’s education section, so far there is potential, but I’m not sure it will be as good as last time. We shall wait and see. I’d love to hear your opinions on these policies.